Attraction and aversion to hair in art and fashion. "The owner of a London hair salon brought his Labrador Mastiff cross to work and it always sat on a chair beneath a hair dryer. 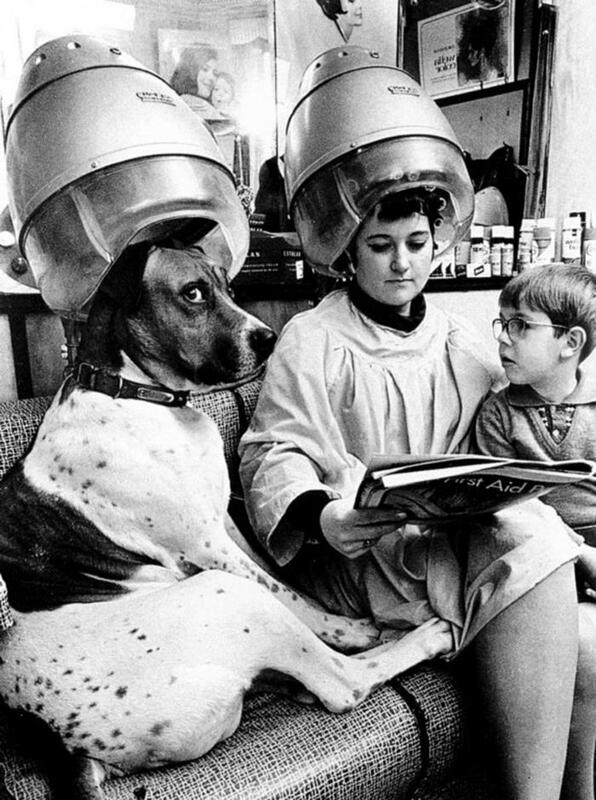 Whenever newcomers asked about its curious mannerism the hairdresser adorned his dog with a ready-made hairnet-curler-wig which made it look as ridiculous at its human neighbours. Talk about it advertised his business in the area." Designed by Wordpress Themes. Simple theme. Powered by Blogger.